Pippa: I originally entered MCUK in 2013 to boost my confidence as I had a few personal demons and wanted to change the way I felt about myself. I was unsure whether to attend the 2014 audition even though I had already entered online. On the morning of the audition I was still questioning my decision and then something hit me and I rushed around getting ready! Serena: I have always been passionate about helping people and being able to inspire others. As part of being a Holistic Therapist it's my profession to make people feel good from the inside out. When searching online for Plus Size opportunities I came across Miss Curvaceous UK. I did not have a clue what it was but had a look and thought it sounded too good to be true. I applied thinking I would not hear back but I was wrong. The reason I applied was my main goal is to promote body confidence to all; especially the younger generation of today. It is so sad to see Women, Girls and even Men of today having a low self-esteem because of the Media and how it portrays us. I am determined to change this especially with encouraging Natural Beauty, Body Confidence and Positive Self Esteem. Anastasia: I first applied for MCUK when I had just turned 17 and I wasn’t old enough to go to the over 18's venue. However, this didn't stop me! I went to the audition and I was the first one there. I was so nervous; I couldn't know how to stop shaking. That year I didn't pass, I was expecting not to. Laurie: I applied for MCUK, because I've always been told that I look “curvaceously beautiful.” (Lol) A very good friend of mine; Elsa has also been supporting me to turn up at the auditions and have a go. I always felt that curvy women had something to offer to society and to the Fashion industry. I am a curves lover; I really think that curves are beautiful. 2) When you found out that you were one of the top 20 finalists, how did you feel? Pippa: When I found out I had got through to the final twenty I was over the moon! I had just got a new job starting Jan 2015 and all I could think was "wow, this is a great start to my 2015 and we are still in December 2014". I felt truly blessed! Serena: When I found out I was in the Top 20 for Miss Curvaceous UK I was really speechless. When I attended the Auditions looking around the room you see so many Beautiful Girls and your perceptions of each other are completely different so you can never be too sure who is going to get thought from who's not. Anastasia: This year I got an email alerting me about another audition for it. I've been trying to get into professional modelling since I was 15. I have had fun in the process, but I've never really felt comfortable, apart from my height. For a model they usually say height is good! Looking at MCUK I didn't feel scared as in, being judged of course I was nervous, but I felt comfortable. When I found out I got through, I was so excited! I never thought I would have gotten through what with all the rest of the beautiful women there that were better at posing and walking than me. I was truly grateful. It's given me an opportunity to receive the training I need and the confidence I need to continue my journey in the modeling industry and so many other things. Laurie: I felt extremely honoured to be part of this wonderful experience. I already see it as an achievement as I have gained so much from it. 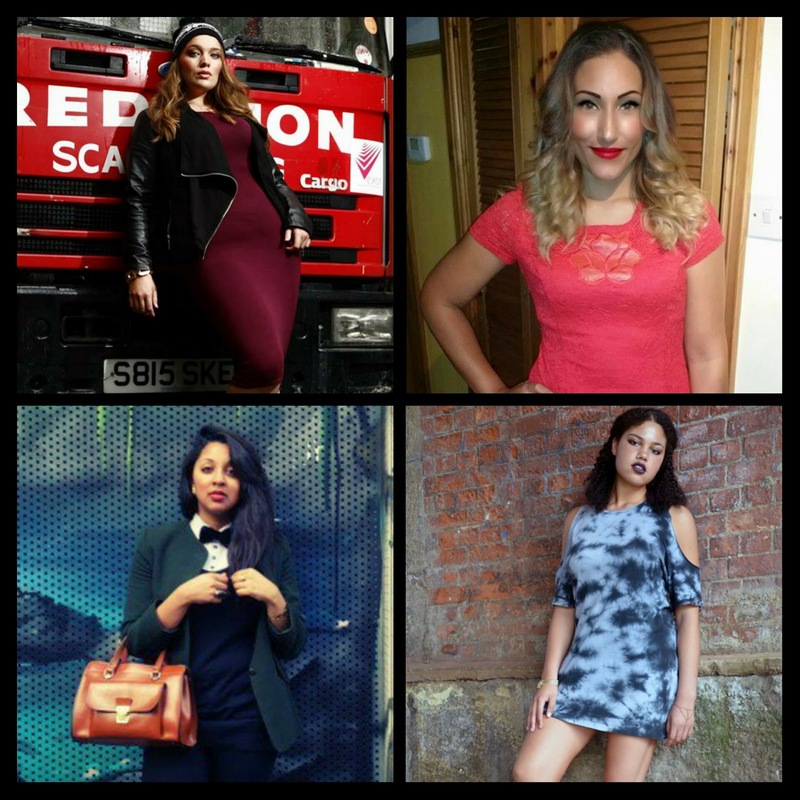 3) What would being crowned “Ms Curvaceous UK 2015” mean to you? Pippa: If I was to be crowned Ms Curvaceous UK 2015, it would mean a new chapter in my life. Although I am already on the road to self-acceptance and not trying to fit in to societies mold but to be myself, I would be changing the perception of modelling in today's society and be the best role model I can be for my nieces and all young girls and in fact boys of what a healthy body should look like. Serena: If I was crowned Miss Curvaceous UK 2015 it would mean something that words and feelings could not describe. It would be unreal and truly a dream to represent Miss Curvaceous and finally be part of such an incredible team and movement. Anastasia: If I were to be crowned MCUK 2015 it would mean the world to me! Not only to know that I have inspired other people to join the 'curvy' team... but because I have achieved something also for me! I love modelling, even though I'm not confident I actually enjoy it and winning the contest would just show I have learned everything I was taught and that I have moved up a step further. It would be amazing. I would love to also use that to help people out there that are not as confident and are insecure and that don’t think they are good enough. I would love to make them acknowledge they are beautiful and they can be and do whatever they want. Laurie: Being crowned Ms Curvaceous UK would be a real accomplishment for me on my model journey. As far as I am concerned MCUK incarnates the recognition of the existence of different beauties that should all be recognised. MCUK embodies inspiration for all women that are struggling to accept who they are. MCUK shows that open-mindedness and the understanding of everyone uniqueness. These are the values that I would stand for if being crowned Ms Curvaceous UK 2015. Pippa: 2015 so far seems to be a year of growth and change. a year of success and many more to come I hope! Serena: I am sure 2015 will have many surprises and opportunities for me. I believe as one door closes another door opens. In June I graduate from University so that will be a wonderful experience for me along with rewarding myself with a holiday to Mexico in August to celebrate, which will be definitely well earned and needed. Anastasia: 2015 holds a lot for me... I feel that due to the fact I am one of the finalists it has opened a few more doors for me. I have met some amazing people along the way also. I am still in college so I have exams coming up but I feel that I have something that I enjoy doing to look forward to. Laurie: In 2015, I would love to inspire more people. This is something that I am already doing on a daily basis by being a school teacher, but I would love to inspire more people of from different ages to accept themselves more through modelling careers. Thank you ladies for taking the time to talk to me. You can catch all four of these gorgeous girls strutting their stuff on the catwalk on Saturday 31st January at De Vere in Canary Wharf.